The following orchid care expert guest post is an interview with Susanne Masters, a PhD student, writer, and botanical consultant. 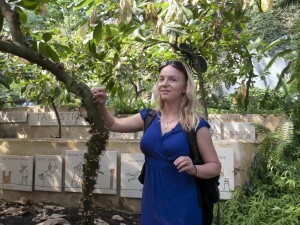 She is one of two orchid researchers who write for the orchid conversation blog titled Conserving Orchids. Part I of the Conserving Orchids blog interview by orchid researcher Amy Hinsley can be read here. Ryan: What exactly is your PhD in? What do you research? Susanne: My PhD is in Ethnobiology – looking at the interactions between people and other species. 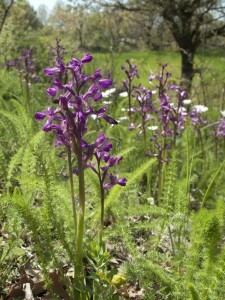 My current research is on uses of orchids in Turkey and threats to those orchids. Ryan: How did you first get into growing/documenting orchids? Susanne: One summer day in the Swiss Jura when I was a kid on holiday with my family my mum gave a lift to an old man who was hitchhiking down to the town. When we dropped him off he gave us a copy of his book on orchids in the area and invited us to visit him for tea and to see his orchid collection. In addition to his extensive photos documenting local orchids he had a collection of tropical orchids. His enthusiasm was an introduction to both the conservation of the natural environment and the range of plants that can be grown at home. Susanne: Out of the second biggest plant family in the world – there are over 25,000 species of orchids – it is hard to choose only one orchid. Bee orchids (Ophyrs apifera) are one of my favourites. They can spring up in garden lawns, but might not reflower every year so it is worth enjoying them when you see them. A lot of people look at them and see a smiling face or are amazed at how velvety the lip of the flower is. I also love scented orchids, the ones that smell good to people rather than the ones that smell like damaged cabbages or blocked drains and are attractive to pollinating insects. Being accustomed to the large colourful Cymbidiums that are most common in the UK, the first time I went to China I was delighted to learn about the more subtle charms of the scented smaller Cymbidiums that are popular in China and are becoming more available in the UK. Ryan: How many orchids do you have currently? Where do you grow them? Susanne: My gardening is restricted at the moment because I am away from home a lot. Currently my orchid growing is largely vicarious: enjoying collections on display in botanical gardens, orchids that pop up in open gardens and the ones being nurtured by some of my contacts in Turkey. Susanne: With all plants if you chose species on the basis of the conditions that you have gardening is less about effort and more about enjoyment. Ryan: Tell us about your website Conserving Orchids. What made you decide to start your blog about orchid research? Susanne: Due to the prohibitive costs of accessing scientific papers if you are not part of an institution that has a subscription for journal access it can be hard to find out about orchid and conservation science. Because I am studying at a University I have access to scientific publications and there is a lot of research that is interesting for orchid fans but does not necessarily reach the mainstream press. Having a blog is a way to share research findings with a wider audience. There are also many interesting conversations I have with people or things that I read in the course of my research that are not the subject of current publications, but nonetheless are interesting. For example yesterday an Ethnobotanist told me about a type of psychoactive orchid fed to hunting dogs – not something I have heard about before. I look forward to following this up by reading his reference points, writing a post about it, and potentially via other people’s comments finding out if other people have heard about it. Co-writing it alongside Amy has also worked really well for both of us as Amy’s research is in a different area on a different group of orchids to those I am working on. I really benefited from conversations with Amy where I heard about different aspects of orchids and their conservation. In many ways, the orchid blog is a replication of that on a wider scale: a place for sharing information and exploring concepts. Susanne Masters is an Ethnobotanist who writes about gardening and other botanical pursuits. To follow her research and learn more about the fascinating world of orchids conservation, check out her blog at: Conserving Orchids.